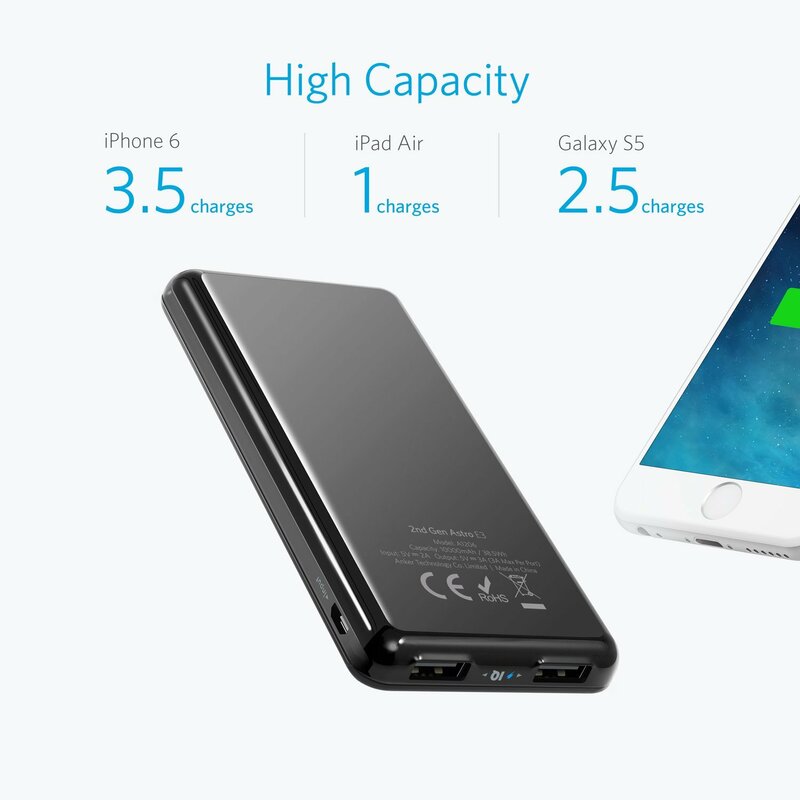 The Anker Advantage: Join the 10 million+ powered by our leading technology. 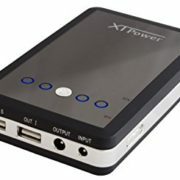 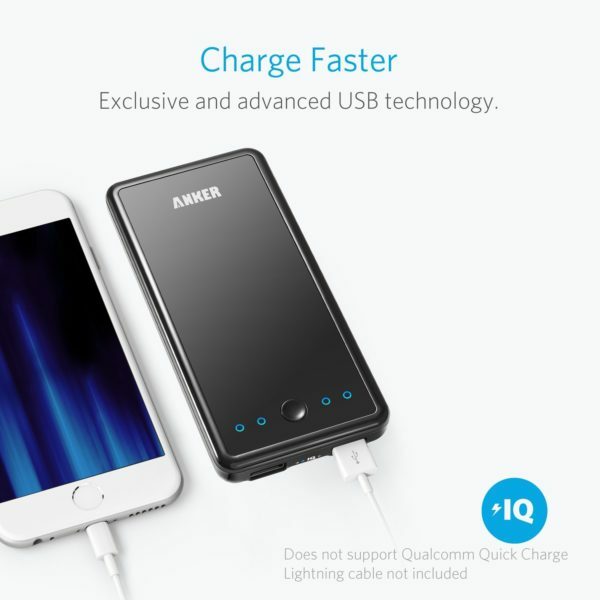 Exclusive PowerIQ Technology: Detects your device to deliver its fastest possible charge speed up to 3 amps. 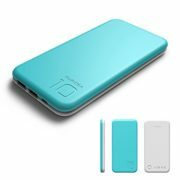 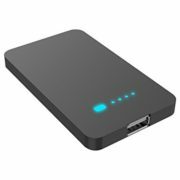 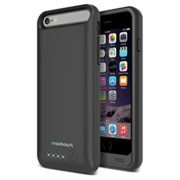 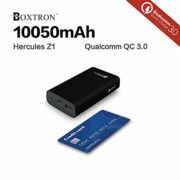 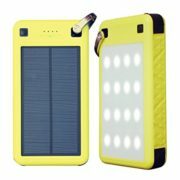 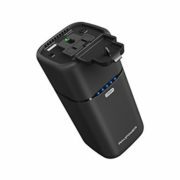 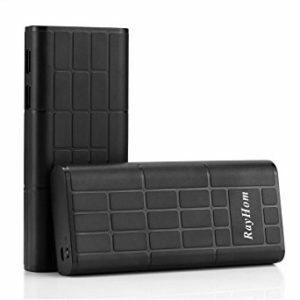 Ultra-High Capacity: Charges the iPad Air almost once, the Galaxy S5 two and a half times, the iPhone 5s four and a half times and other smartphones multiple times. 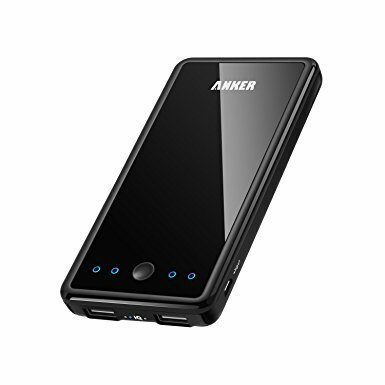 Incredibly Compact: Slim, sleek, smartphone-like design featuring a 4-LED power meter. 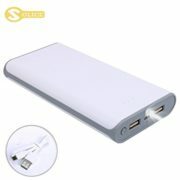 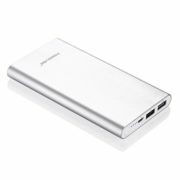 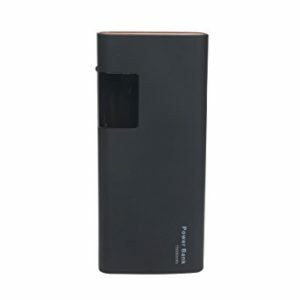 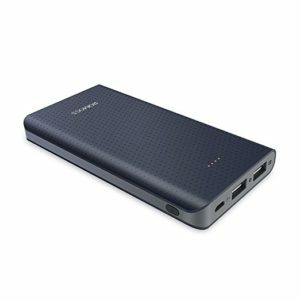 Recharges in 6 hours with a 2 amp adapter (not included) and the included Micro USB cable. 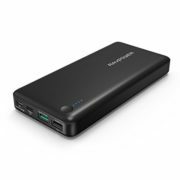 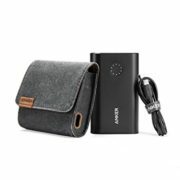 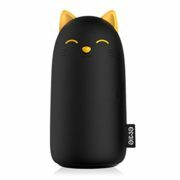 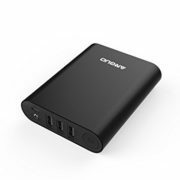 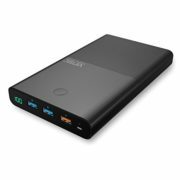 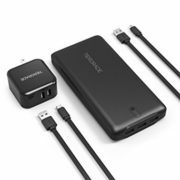 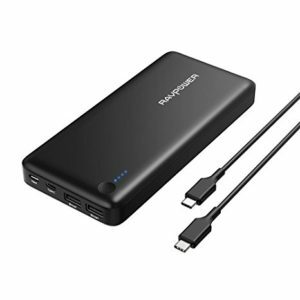 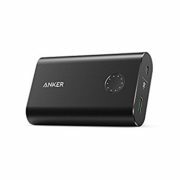 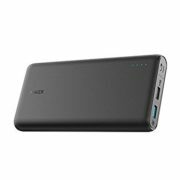 What You Get: Anker Astro E3 Portable Charger ?External Battery Power Bank, Micro USB cable, travel pouch, welcome guide, our fan-favorite 18-month warranty and friendly customer service. 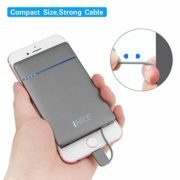 Lightning cable for iPhone / iPad sold separately.